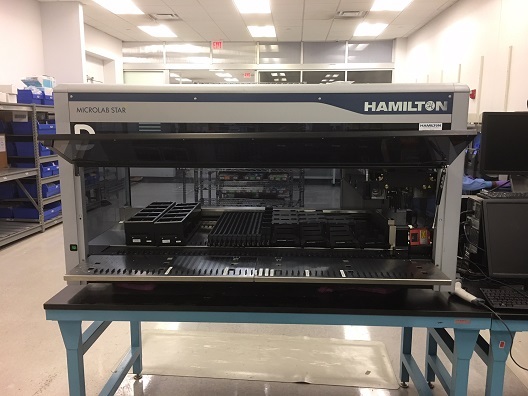 We offer an assortment of used and refurbished Robotics ranging from Liquid Handlers, Automatic Pippettors, Plate Shuttle Systems to Microplate Pipetting Workstations. Some of our popular manufacturers include Tecan, Beckman-Coulter, Thermo Forma, Robbins, Qiagen, and Zymark. The Microlab STAR Line of workstations uses air displacement pipetting and the unique CO-RE system for forceless tip pickup and ejection. These unrivaled features maximize sample care and integrity. This technology is applied to independent pipetting channels and multiprobe heads; simply switch on your system and start running your method.